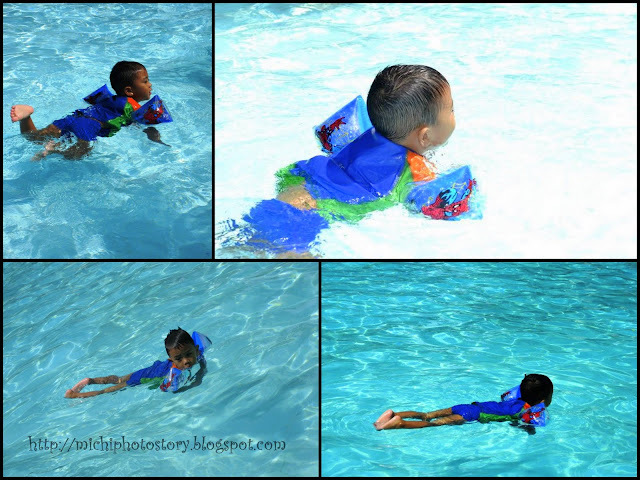 Since July, I’ve been looking for arm band floaters for my son and I’ve been to seven different malls but unfortunately, there were no arm band floaters available. 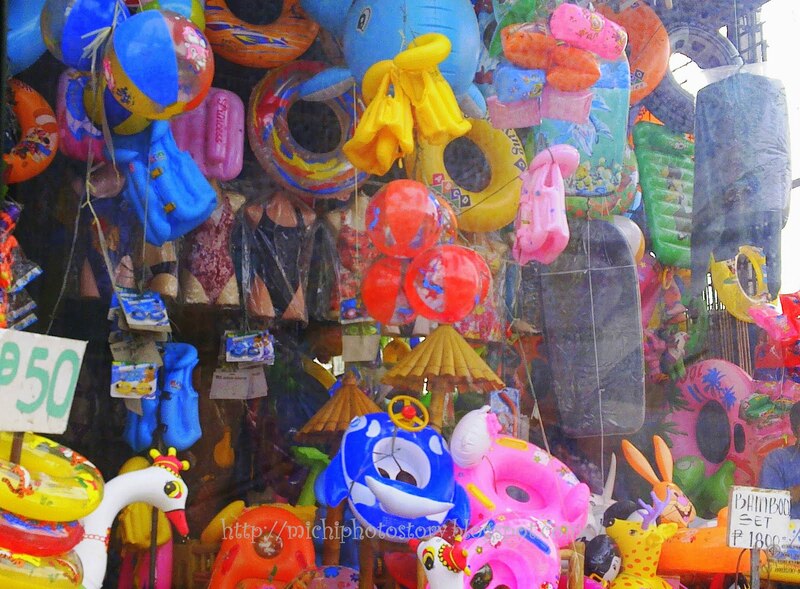 No arm band floaters on our Cebu trip but lucky for me; I was able to pass this store on our way to Victoria, Laguna. There are several stores that sell floaters in Pansol, Laguna and I am very familiar with this place, I just wondered why it did not cross my mind. Anyway, it was not too late because my son was able to use the arm band floaters in our Villa Escudero trip and Blue Coral Resort outing. I bought it for P50 only. Hehe! 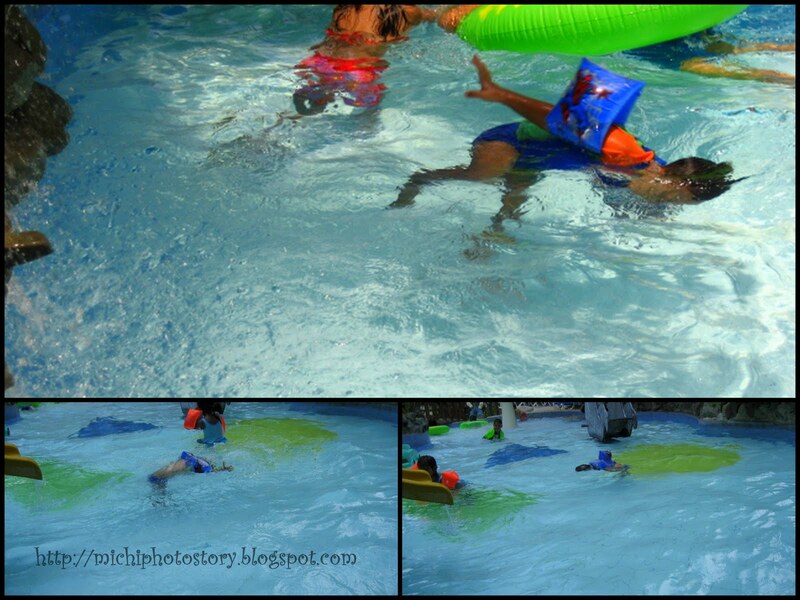 My son loves water, even he doesn’t know how to swim yet but with the help of the arm band floaters, he can go anywhere. In fact, he is very confident with his swimming skills and sometimes he removes his floaters and jump on the water. He is not scared but we are scared for him. He is so independent that he feels that he no longer needs guidance. He even pushed us if we will hold him. And now he enjoys the slides. He never gets tired of it. Whenever he slides, these are all his landing positions. There are always crying moments and tantrums when it is time to get off the water. After swimming for several hours, we know that he really enjoyed it because he can sleep while watching TV and eating slice of bread.